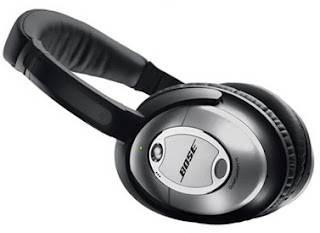 Stylish gadget Bose QuietComfort 15 headphones great looks in black-grey colour combination and innovative comfy ergonomic design. The basic virtue of these headphones is noise cancellation. Enveloping a wider frequency spectrum the Bluetooth headphones provide you with far-ranging music streaming. With microphone on dual sides that is resting under the ear cups and on the outside these ensure proper measurement while enhancing the noise cancellation signals. Crafted out of material that generates passive noise reduction these get the life with one AAA battery that lives for 35 hours. With arresting handsome looks these headphones are a best alternative to your noisy music device. Released on 20th August'09 these are a sure shot catch for all you music lovers who love to listen to music while on a ride. Get the latest on the block to enhance your listening experience!! LOL, anonymous is right! I love, "not in the conventional sense". Not in the conventional sense. The included audio cable must be used to hear audio from portable media players, home stereos, laptops and the like. If you simply want to use the headphones to reduce background noise, however, no audio cable is needed. Can you use these headsets to cancel out the noise of a ride on mower - say without music? Would that work?